Once ago someone asked me if there is an instant camera with fully manual settings. If you want a short short answer for this question then can say No. But if you want a long answer with a maybe then you might find few options you can consider about. Polaroid cameras don’t have too many manual control settings. There are few cameras which has manual shutter and there are few other cameras which has several exposure settings. Apart from that you can’t find all the manual controls for shutter speed, Exposure, manual focus etc. For that you need to take SLR film camera. Instant film cameras are not made for taking care of all these things manually. But you might find this type of cameras in future. 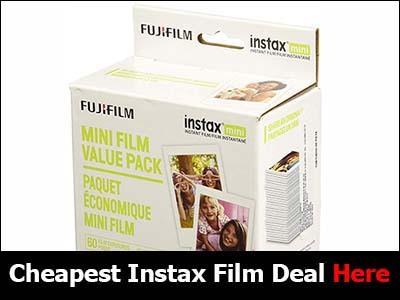 For example Fujifilm Instax Mini 90 camera has more manual settings than any other Instant photo camera had in past. This Instax Mini 90 camera has more manual controls than any other Instant film camera ever had. Still not fully manual but it gives you some control over various things. There are 3 focus modes Standard, Macro and Landscape. Shutter speed can be increased with kids mode and L, L+ and D modes let you control brightness of your photos. In party mode light given by flash is adjusted according to the brightness of background which helps you to do better photos in low light conditions. Also you can exposure time with bulb mode. Hold down shutter button upto 10 seconds and change brightness of photos depending on time. So most of these things can only control exposure but it’s something better than old Polaroid film cameras. Next option you have is something thing do to with those Lomo cameras. This is an accessory which you can fit in back of SLR film camera. Holga Polaroid Instant Film Back cost you around $130 and only works with Holga cameras. This one take Fujifilm FP-3000B film and Fujifilm FP-100C film. From these 2 types of instant film FP-100C is the cheaper type. You can buy a 10 photo pack for $9 from Amazon. 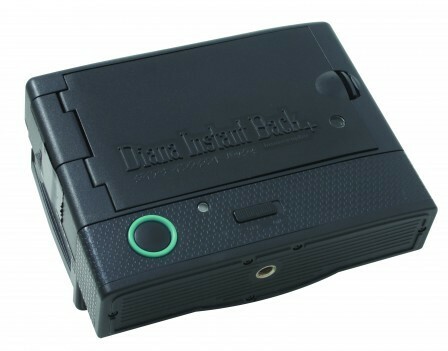 Lomography Diana F+ Instant Back is only $74 at Amazon with free shipping. It uses Fujifilm Instax Mini film. 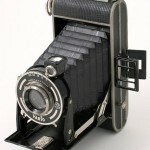 This one is the cheaper option between Holga back and Diana back. But the problem with all these accessories is some of these can be defected. I have noticed some customers at Amazon complain about film not ejecting after a while. This has happened to 3 people out of 22 total customers who bought it. There is another thing you should think about before buying of these backs. These Diana and Holga cameras are also known as Lomo cameras. Lomography is the opposite of Photography. While photographers do there best to take photos as they want, Lomography fans enjoy the unpredictable results you get. So usually These Lomo cameras don’t give you perfect clear sharp photos. These cameras are not for that. 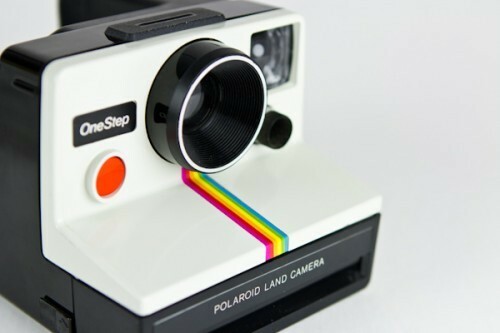 If you are looking for Polaroid camera with manual controls for taking perfect photos then it might not work as you think with Lomography cameras. Hasselblad is a camera brand you might have heard or not. This is an expensive camera brands in the world. Hasselblad H1 Camera cost around $3000 and one of their latest cameras, Hasselblad H5D-60 camera comes with a price tag of $43,000! Yes that’s the real price of that camera. Anyway they also have one of these Backs. 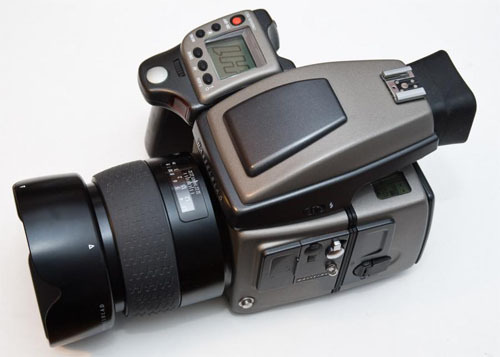 Hasselblad Instant Film Magazine HMi100 is for their H1 and H1D cameras. Only cost $170 which is cheap comparing with the camera price. But this only good for those who already own this camera. I don’t think anyone in right might would buy a H1 camera just to use the Instant back. omg who would want to buy one of these Hasselblad cameras for such a price ? If I have 40k budget for cameras then I can buy whole array of accessories and gatgets including a Canon or Nikon flagship camera like Canon Canon 1D. I think FujiFilm Mini 90 is the best choice if someone looking for instant camera with manual settings because It’s the best one in market. I don’t think Those Lomo cameras with an instant back can do much since Lomo cameras are pretty bad. Yeah. I can say same about Hasselblad cameras. Not exactly something instant camera fan want to invest in. But I wonder if there are any Instant camera backs which can be used with DSLR cameras. Those Diana and Helga Lomo cameras are not great when it comes to photography so probably won’t do much good either. 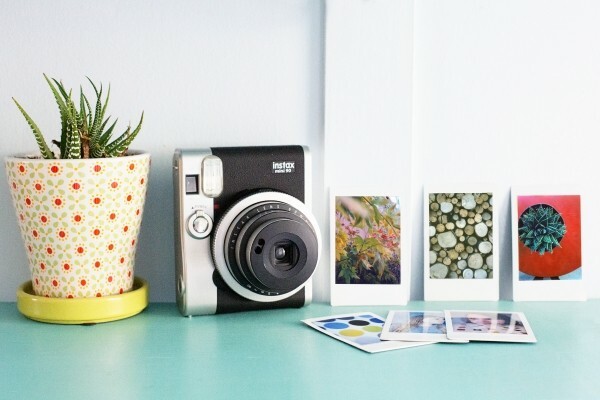 Unless you are an Lomography fan who want your Lomo photos printed instantly. So yeah, right now the best option is Fujifilm Mini 90 camera. Or Polaroid Z40 digital instant camera if you want your photos to be posted in Social Media. Why shoot something that doesnt even cover the full frame of the film! ?